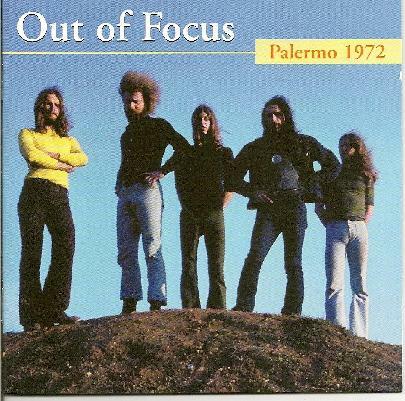 Palermo 1972 is Out of Focus’s third album, and what a progressive rock journey it is. Consisting of six tracks, recorded live at the Teatro Biondo, Palermo, Italy, on the twenty-six of May 1972, all of which flow in the style of Soft Machine or Kollective, with Saxophones, Flutes, Organs, and Drum solo’s a plenty. It is pure Progressive Rock, often spacey, mellow, chaotic, and all the while it takes the listener on a definite journey somewhere, to where is totally up to the listener. But rest assured that it does spin the head, which obviously is a must for me! The quality of the recording is very good and the ambience of the concert has been captured beautifully. Also, according to the accompanying booklet, this was the best gig of their 1972 tour of Italy, and luckily, all channels on the recorder worked perfectly, as other gigs it did not function on all channels. So, what we have here is Out of Focus at their best, and it is a joy to listen to the creative energy that flows from the recording. The CD is over seventy minutes in length and it rarely pauses between tracks, giving almost constant music throughout. Most of the tracks are jazzy in a fashion; mixing rousing Sax freak out’s with tight and imaginative organic instrumental sections, and it is for this reason that I mention The Soft Machine as a likeness, although Out of Focus are not totally instrumental, there are vocals, which are not my cup of tea as I much prefer the instrumental stuff. Nevertheless it is well worth a listen.